10 Quality, But Affordable Makeup Products. For those of us in college, being a makeup lover isn’t always the easiest. Trust me, I get it, make up can be expensive. But it doesn’t have to be. There are plenty of products to choose from that will do the same job for an affordable price for us on a budget. Many people seem to forget about Wet n’ Wild products because they are considered the ‘cheap brand’, but honestly, they have some of the best products out there for someone on a budget. This concealer does wonders for people who need the coverage. Especially if you have red spots or rosy cheeks such as myself. It covers well, and it stays on. These are some of my favorite make up products. For only 5 dollars, these incredibly cute & beautiful highlighters can be yours. They have a great color and shine. Face primer is a great product to use, especially when applying foundation afterwards. I found that Wet N’ Wild’s Matte Face Primer is a great choice for that. It helps your foundation apply easier, and it will help cover your face better. Nyx is also a great brand, with affordable prices. Their lipsticks are great quality and stay on through almost anything. Maybelline’s Fit Me! Matte Powder comes in a range of colors and provides great coverage for your powder needs. Compare to Urban Decay’s setting spray, I found that this cheaper version of setting spray will also get the job done. Apply a face of makeup, and use setting spray to keep it in place all day. A great choice for liquid eye liner. It has a pointed edge tip to get your eye liner wings just perfect. If you love anything with glitter or sparkles, Hard Candy is a good brand to wear. Glitter galore, these cheap eye shadows will apply easily and stay on all day. Another underrated makeup brand, e.l.f. is an affordable choice. Their blushes come in plenty of colors to choose from. Pick the perfect color for your cheeks and enjoy. 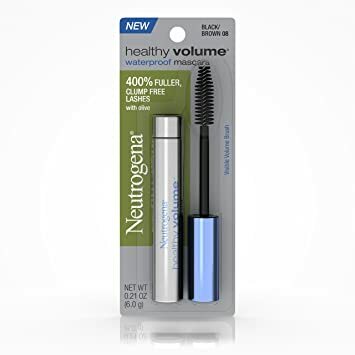 This mascara gives your eye lashes great volume and a great look for only 7 dollars. It’s also waterproof! I love the coverage and the face that it stays on through everything you encounter in your day.